From the Renaissance Collection of Joseph’s studio, this beautiful crucifix makes a wonderful addition to any home or office. If you're looking for a traditional, no-frills crucifix, then this crucifix is just right for you. 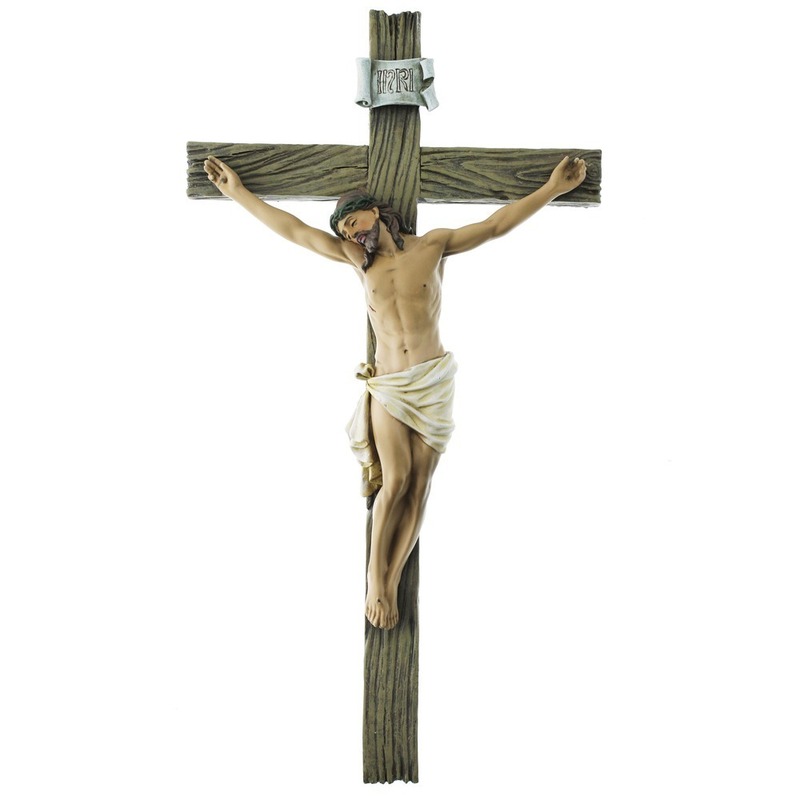 This nicely sized hand-painted crucifix, is rich in detailing and is complimented by a wood-like finish. The beautiful cross makes a lovely display in honor of Jesus our King.